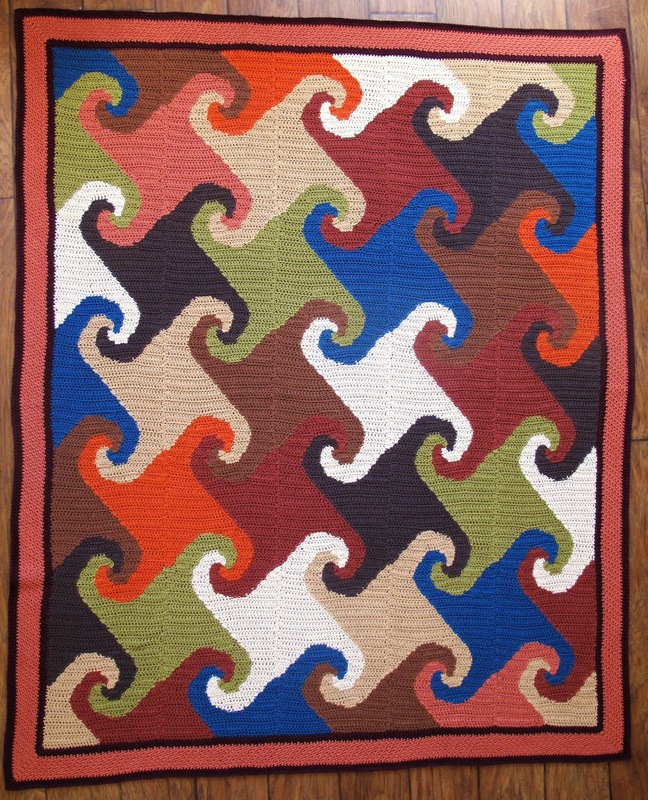 The awesome Jessie Rayot of JessieAtHome.com invited me to join in the World Wide Artist Blog Hop. I met Jessie last year at the Knit and Crochet Show in Concord, and have enjoyed seeing her career blossom as her colorful designs are featured all over the web. Artists around the world post answers to four questions on their blogs and link to a minimum of one, maximum of three artists who post their answers the following Monday. The next Blog Hop post will be September 22. When I was younger I thought my hobby was learning new crafts, but I always came back to crochet. There is always something new to learn in crochet, and even more to learn through experimentation, and sometimes by accident. I had dreamed of maybe some day getting a pattern published in a crochet magazine. But it was not until I had children and started crocheting for them that I seriously considered submitting. 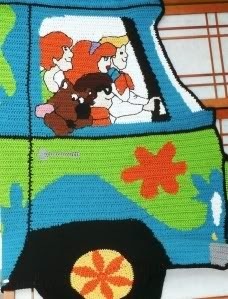 After the Mystery Machine Afghan I designed for my son won awards at the CGOA's Design Competition in September of 2011, I began submitting designs and haven't looked back. That same year, I had done a crochet along on my blog, to encourage others to learn to crochet and make blankets to donate to their local NICUs. One year later, I independently published that CAL as part of my first book, in memory of my daughter Rowan. I started my blog and published the book, to not only help others learn to crochet, but to share my story so others who have lost a baby know they are not alone. 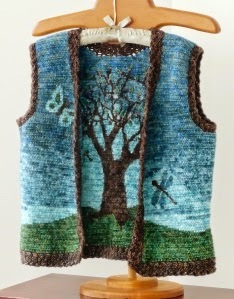 I also designed my Reversible Rowan Tree Vest in her honor, which helped me hone the technique that would lead to my next book. I have been told, "You don't just think outside the box, you can't even find the box." Perhaps because I am left-handed, I tend to think everything should be reversible. This concept led me to experiment with Reversible Intarsia and Reversible Cables in crochet in ways that no one else seems to be doing (or at least no one else is crazy enough to try to explain). My new book Reversible Color Crochet: A New Technique explains the intarsia technique, and I am excited to see how people choose to use the technique to create their own designs. I am very much a process designer. I usually start with a general idea of the shape I am going for, get an idea into my head, and dive into my stash, hoping I have the perfect yarn at my fingertips. Sometimes it is the yarn that tell me what it wants to be. I do not sketch a lot before I get started, but prefer to sit down with a ball of yarn and hook and just play with the stitches until they do what I want them to. Because I do so much colorwork, there are some yarns, like Brown Sheep's Cotton Fleece, that I want to have every shade of in my stash. These are my paints, my artists' palette. If I want a lace or a textured stitch, I will pour over my Japanese Stitch Dictionaries and my classic Harmony Guide to Crochet. Then can spend hours playing with the stitch combinations working out how to work increases or shaping, or combine the stitch patterns to get them to look like I want them to. The final stitch pattern is seldom just like the ones I began with. Everything? This month I am in the midst of a book tour for my new book, and getting ready to start teaching classes on the technique. So I have not been getting to crochet nearly as much as I wish I was. But, I still have many projects in the works, including ideas for another book. I have also been working with a lot of hand dyed yarn makers, profiling them here on my blog each month, and releasing patterns using one of their yarns. I'm totally interested in doing this =) Adding to my article queue!